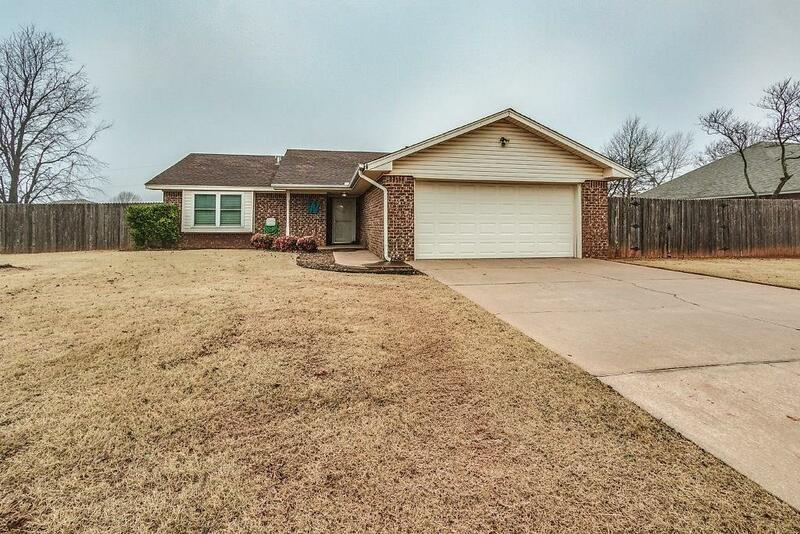 1417 Cherokee Circle, Blanchard, OK.| MLS# 852623 | Oklahoma City Real Estate | Apple Realty, Inc. Welcome home! This move-in ready 3 bedroom, 2 bath home with two living areas is ready for you. Built in 1987 and loving updated over the last several years. The large lot is fully fence, most posts being metal, with a large covered patio and huge storage shed. The spacious garage includes a separate mudroom complete with a bathtub. Perfect for a dog wash, sports equipment, or to clean off dirty yard tools. Schedule your showing today to see this great home in a small town just a short drive from the city.